design an overall method for achieving improvement. Joan was having difficulty with her trials. Opposing attorneys seemed to anticipate her every move. Their witnesses seemed to know the exact answers to her direct and cross questions, and these answers would often be stated in the least helpful manner to her arguments. In frustration, she asked her supervisor, Marilyn, to observe a trial. In the course of debriefing, Marilyn also reviewed the case file and was struck by Joan's interrogatories -- they frequently put off the possibility of obtaining further important information. Her deposition questions were so closed-ended and specific that they could cause the witness to be defensive and might also signal trial strategies. Marilyn concluded that Joan was probably undercutting her trial work in three ways: she was betraying the limits of her theory of the case; she was not getting all the needed information; and she was preparing the opposition for trial. After discussing these observations with Joan, the two agreed that an Individual Development Plan (IDP) should be designed for the purpose of improving both writing skills as they related to interrogatories, and verbal skills as they related to depositions. They decided on including these elements in the IDP. 1. The focus on the plan was to improve the questioning process in (written and verbal) interrogatories and in depositions. 2. A three-month timetable was established for improving the necessary skills from moderately inadequate to adequate or above. 3. 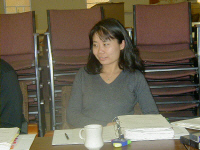 Joan was assigned a complicated housing case for which planning would be done at the next group case acceptance meeting. 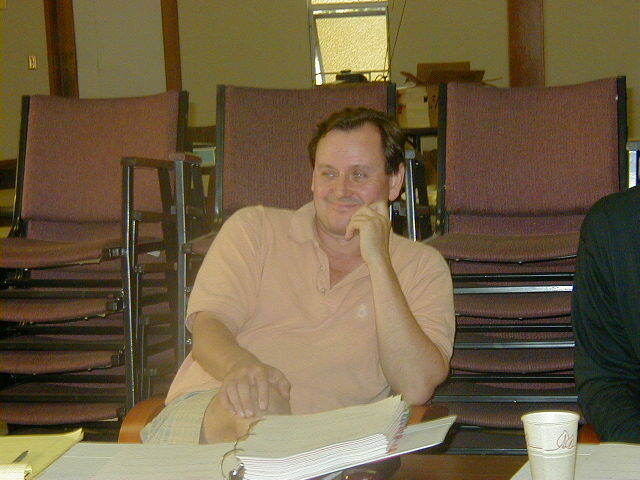 Bob, a senior attorney with remarkable analytical skills, was asked to spend one hour a week assisting Joan in drafting questions for interrogatories and for depositions. 4. In preparing for Joan's assignment, Marilyn selected one of Joan's cases that contained interrogatories or a deposition transcript for Joan to review with Bob's assistance every two weeks. 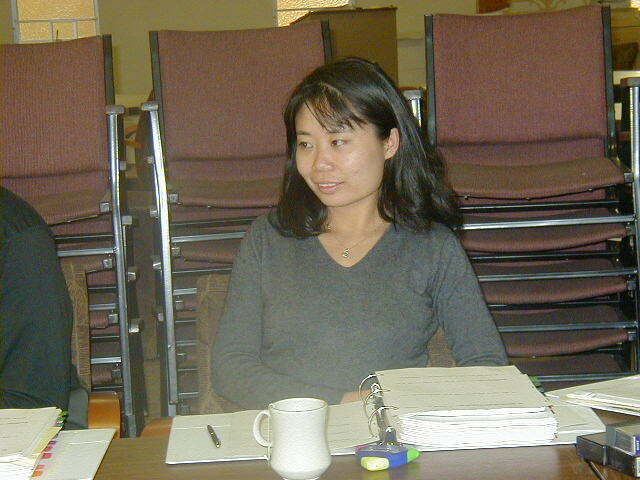 This method provided Joan with an opportunity to practice her new learning and realize short term accomplishments. 5. Bob agreed to observe Joan's trial and take careful notes. These notes would then be reviewed by Joan, Marilyn and Bob. 6. Based on the team review of the first trial, Marilyn would assist Joan in examining other experiences that would lead to improvement. 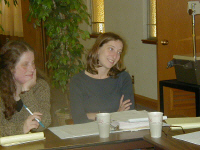 Joan also would attend the next Trial Advocacy Skills Training, and sit in on the depositions that were being taken by other staff members. 7. At the regular case review sessions, held every six weeks, Marilyn agreed to review the work necessary to insure that there was a discussion of the progress made in the development of the knowledge and skills. 8. It was decided that because Marilyn ran the group case acceptance meeting, she would be responsible for reviewing Bob's, Joan's and her own case load to insure that all three had time to participate in IDP. The plan would be outlined for other staff members so that they would understand if shifting of case loads, etc., occurred. They analyzed the cost to the organization and to the other staff that would result from IDP, designing ways to accommodate these additional costs. Designing an IDP takes time, energy and discipline. These may be considered high costs or disadvantages to formal planning. The chief advantage is efficiency. The purpose for going through the design of an IDP is to take the learning process out of the realm of chance and bring it to a level of conscious focus where one can be relatively certain of achieving a goal in a reasonably short period of time. IDP can be considered a time management technique. There are a number of reasons why chance learning can be inefficient. These reason go to the heart of the learning process and therefore set the groundwork for understanding what must be part of a good IDP design. 1. An informal learning process usually results in infrequent rewards. For most people, learning needs to be reinforced by short-term accomplishments. Some people can work for an extended period of time without a sense of satisfaction, but most need some reward if they are to persist in an endeavor. Present skill and knowledge levels incorporate habits which have been reinforced for years. When people try something new and don't succeed right away, they tend to feel discouraged and inadequate and to fall back on what has worked before. Resisting this tendency takes commitment, patience and perseverance. Chance learning is not likely to provide the short term rewards that will produce this commitment. 2. Chance learning is usually unfocused. Perhaps the most basic principle in time management is to set priorities. Over-extension is generally unproductive. It is wise to use a planning process to set specific limited goals for improvement and deliberately to put other areas of growth as low priorities. There are various ways to approach planning an IDP. Among them are working alone, with peers, or with a supervisor. Even without involving another person, it is profitable to think through an IDP carefully. This analysis helps to set priorities and to build elements into the plan that minimize discouragements and maximize success. In planning alone, consider carefully what must be given up if the learning is to occur. Often, we try to take on a new project and at the same time continue with all of our present duties. Planning alone may force you to evaluate realistically the way you channel work efforts. Another person can view our plans more objectively than we can. A peer can assist in realistically assessing colleague's present level of growth, and more importantly, can identify when they are over extending themselves. We have a tendency to want to grow faster than what might realistically be expected, and a peer can help us to be more practical. A peer can also be of special assistance in developing a plan if s/he has more skills than we do in the performance areas identified for improvement. A co-planner can also help by providing the social pressure to continue when others want us to change priorities. It is harder to abandon or let up in the learning process when we know that we will let others down. This person can provide encouragement, advice, and be a sounding board for our problems. In shorts, working with someone else on a common project is often much more fun than working alone. Working with your supervisor to plan an IDP has unique advantages and disadvantages. On the negative side, the supervisor becomes aware of shortcomings and could use the information punitively in any formal evaluation. If you distrust your supervisor, tension between you is created that could block rather than facilitate learning. You must make a judgment about the supervisor based on past experience of how that supervisor has used special knowledge of your strengths and weaknesses. On the other hand, there are advantages to joint planning with a supervisor. The most important one, perhaps, is that the supervisor can control better than anyone else the factors in the environment that influence learning. The supervisor can also control caseload and can obtain the assistance of others and release their time to help. The supervisor often knows about more opportunities for supportive experiences than anyone else in the unit or office. In short, a supervisor has access to more information and, therefore, can be of greater assistance. It can also be freeing to know ahead of time what your supervisor judges to be your strengths and weaknesses. With this knowledge, you can plan to improve those weak areas. If the supervisor is involved in the planning, s/he might be more understanding of the difficulties encountered in the growth process, and be more willing to take more responsibility for those difficulties. IDPs can be incorporated into a Performance Review and Evaluation System in two ways: formally, as part of a process to improve performance after a staff member has been warned of probation; and informally, as part of a process of assisting every person to achieve his or her highest potential as a professional. When a staff member has been placed on probation for inadequate performance, it is incumbent upon management to provide opportunities for the individual to improve in the areas that are deficient. Because an individual on probation is under so much stress, s/he usually needs help from a supervisor to develop a realistic plan for self improvement. The supervisor of an individual on probation should specify the behaviors that need to be improved and then work with that individual to plan for the development of those behaviors. IDP can best be used after a case review for paralegals and attorneys and after performance reviews for secretaries. When conducted properly, these reviews should lead the supervisor and the supervisee to agreement on specific areas that might be improved. Such areas are often selected, not because they are performed inadequately, but rather because the supervisee wants to improve them. There are many levels of performance above "adequate" and below "perfect." A staff member may want to improve because it is a challenge, because growth is important, and because development affects his or her capability for promotion, which in turn affects salary increases. An IDP should not be viewed as a contract with a staff person, but rather as a device that is used to support and control the learning process. A good plan spells out expectations for the supervisor as well as for the supervisee. These expectations are self-imposed so that both people have clarity in their business relationship and can therefore head off misunderstanding in the future. IDP can be linked directly to performance evaluation when staff are rewarded not only for excellence, but also for improvement over a given period. In such a system, a staff member is allowed to bring into the evaluation past plans and present indications of development. Because the supervisor has been closely linked to the development process, s/he is generally supportive of the evidence and shares a sense of accomplishment when the results are presented. 2. Determine the continuum from the present level of performance to the future goal level of achievement in the skill or knowledge areas to be improved. Many supervisors and supervisees do not think in terms of a continuum of abilities, but rather in terms of extremes. They believe that one either has the skill or knowledge or one doesn't. They do not conceptualize the more realistic middle ground. It is important to have a starting point for growth and to recognize that the starting point is rarely zero. Some achievement has already been attained; strengths can always be found in any performance. Specifying the goal level for achievement within a given period is also important. Many of us want to achieve perfection within a matter of a few months. Such unrealistic expectations can lead to disappointment and will hinder the learning process. Consequently, the specific behaviors that reflect the goal level of growth should be clearly spelled out so that the supervisee may know when s/he has attained goal level, and so that particular goal level may be clearly distinguished from "perfection." 3. Define the available resources. There is no reason for you to try to learn on your own when expert staff or books are readily available. Availing yourself of these sources can save you a great deal of time and head off many potential problems. Throughout the learning process, practice is helpful through such activities as role playing, writing sample sentences and paragraphs, and asking someone to play the "devil's advocate." When you become comfortable in a simulation, you are usually able to perform better when under the pressure of a similar but real situation. 5. Design ways to achieve short term rewards. This suggestion might be combined with #4 concerning practice of the skill. It is important to break down a knowledge area or a skill into components so that a sense of accomplishment can be achieved with the mastery of each component. For example, when improving your ability to perform in a hearing, it's wise to focus on developing one area at a time, such as presenting evidence or handling a bored hearing officer, rather than to attempt to master all areas at once. 6. Design a realistic time frame. A time frame should include specific times to meet with resource people, to evaluate progress, and to complete projects. Taking time to plan according to a schedule generally insures that work is paced for relaxed learning and that priorities are always balanced. and redesign of the IDP. Reviews postponed until the end of a developmental period invite disappointment. If you don't know how much change has occurred, you don't know how much effort to expend on development nor how to modify ineffective past strategies. Furthermore, if your progress is not acknowledged by frequent reviews, you are denied the frequent rewards that come from realizing small accomplishments. The net result of not having the evaluation information shared periodically could be disillusionment and minimal development. All learning is inconvenient because it interrupts routine. Most learning demands that you be prepared to face discouragement. Because we often do not learn at the pace that we project, we must anticipate possible inconvenience and discouragement and must resolve to continue with the development project even when it means losing the opportunity to do other things, or facing our own limitations honestly. An IDP is simply a technique. There are circumstances when it should be used and circumstances when the time and effort do not justify the results. It can be a very helpful tool in that it provides a structure for conceptualizing and organizing growth. A well-thought-out IDP can provide useful information on performance and achievement as well as invite the discipline necessary to use the information meaningfully and effectively. 1. Skill-knowledge to be improved: I want to improve my ability to listen and explore the ideas of my staff rather than immediately give advice and form opinions. 1) have more fun by being involved supportively in more of the brainstorming strategies; 2) increase the effectiveness of our litigation through better planning; and 3) increase my exposure to cases as they develop so that I can head off any problems before they get out of hand. Finally, I want to decrease the amount of time I have to spend backreading through cases during case review. 3. Current and Goal Levels of Performance: My present level of accomplishment is (7) "Adequately Accomplished," for new staff, and (3) "Little Accomplished," for experienced staff. This gives me an overall rating of (5) "Somewhat Accomplished." My goal is to achieve an overall level of (7) "Adequately Accomplished" by the end of two months. The goal is realistic because I intend to make this area my sole focus of development--a top priority. 4. Resources: The training coordinator teaches interviewing and communication skills and I will ask her to provide reading material, video tapes, and some personal tutoring. I want to observe Jim's group case acceptance meetings because he has a reputation for being patient with staff's "crazy ideas." a. I am going to note the problems I experience with people who come to me who tax my patience and will role-play these situations with the training coordinator. b. I am going to tape one problem solving session every two weeks, have the transcript typed out, and ask Jenny, my wife, to review it with me so that I can note inappropriate interruptions and practice better ways of responding. Right now my tolerance for listening to people before tendering my sage advice is about 15 seconds. I want to increase that time in 30 second increments so that by the end of two months I can comfortably help people explore their thoughts for two minutes without interrupting. At the 30,60,90 and 120 second barriers, I plan to treat myself and Jenny to dinner, or do something special with her. a. Self monitoring: I will be keeping track of how long I allow people to get out their own ideas before providing the almighty answers. b. Review of audiotape: I will be reviewing two tapes a month. 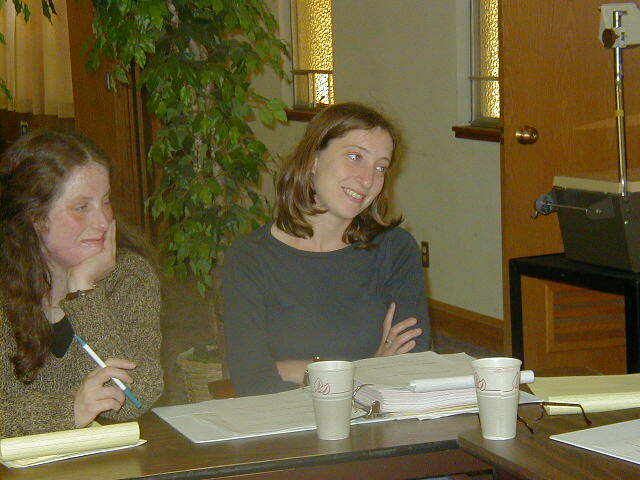 c. Feedback from the training coordinator: I am going to ask her to sit in on my group case acceptance meetings. d. Feedback from staff: I do not intend to tell staff about my IDP and will be counting the positive comments about helpfulness. Have meeting with training coordinator, get books. Begin records of elapsed time before interruptions. First role play with T.C. Second role play with T.C. followed by training. ask her to check mine. not, I will make a tape. Final tape, will check for two minutes of listening. Call Jan and share IDP progress. 9. Cost of implementation: Although I have received many complaints about my lack of time and my abruptness, I expect resistance to the new style, and I plan to be patient with myself and my staff. I also know that I hate record keeping and I am short on perseverance. I anticipate that these habits will have to change also. I promise not to use "lack of time" for an excuse.